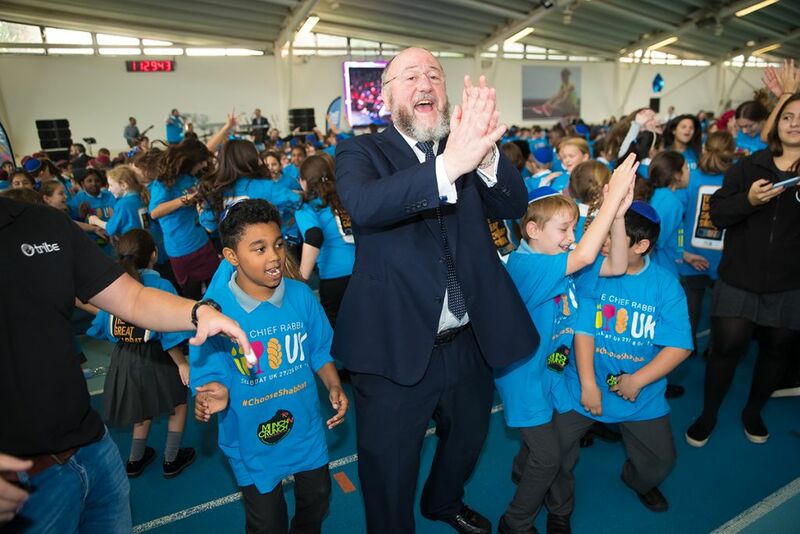 More than 1,400 pupils from 20 primary schools came together this week for a special concert to launch this year’s ShabbatUK. 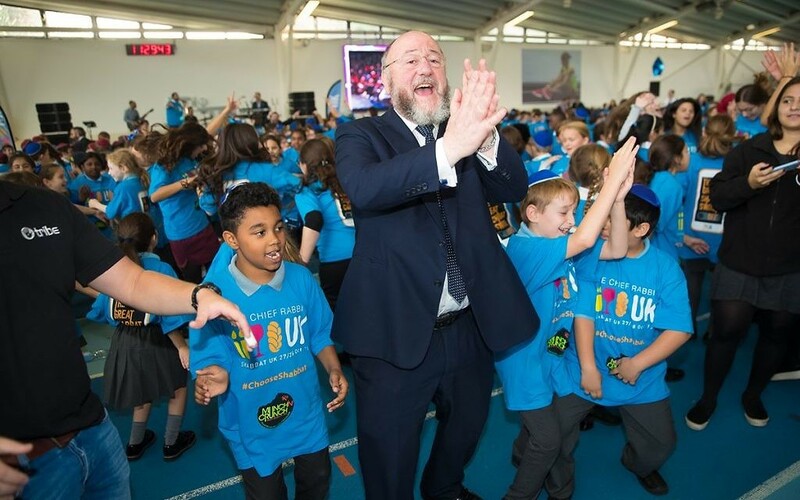 Chief Rabbi Ephraim Mirvis welcomed the young crowd to the Lee Valley Athletics Centre in Edmonton for a Kabbalat ShabbatUK concert. Children sang Shabbat songs and danced in anticipation of the annual event, which takes place on 27 and 28 October. The children were also entertained with music from Rabbis Marc Levene and Gary Bazak, supported by Asaf Flumi’s band, while ‘Munch ’n Crunch’ fed students with ShabbatUK biscuits. Elsewhere, city workers will be encouraged to try their hand at making a different kind of dough, as Mirvis joins Deloitte’s Jewish Network for a ‘Challah Make in the City’. The event will bring together financiers, consultants, lawyers and accountants from firms including Goldman Sachs, JP Morgan and Investec. Last year some 100 communities across the country, totalling more than 100,000 people, took part in special events for ShabbatUK.